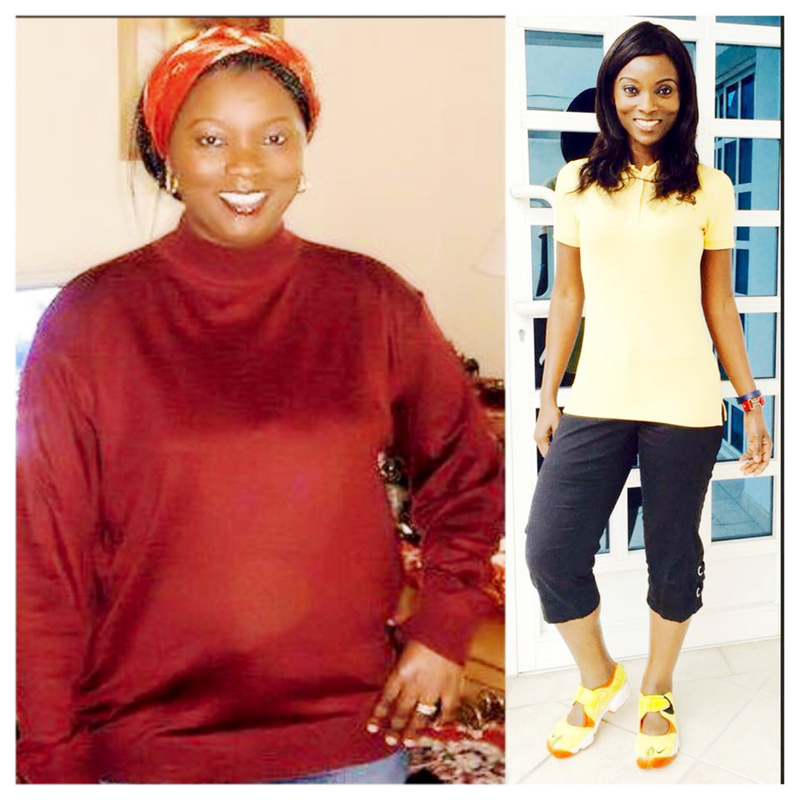 Tuedon Omatsola Morgan a really inspirational woman started running in 2011 to lose weight after her mother failed to recognize her in a train station. 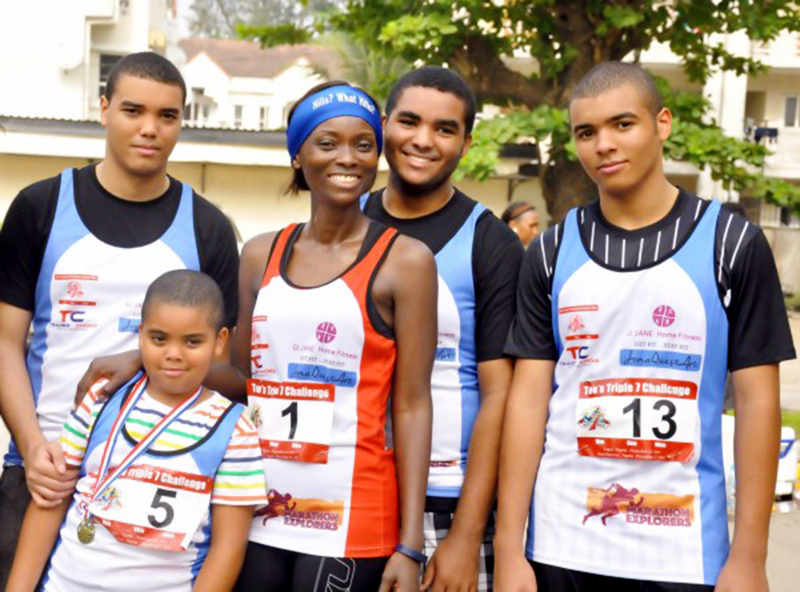 The 42-year mother of four, who looks like she’s in her 20s, has run in over 30 marathons and is the first Nigerian to run the Nort h Pole Marathon, and the first to plant the Nigerian flag on the North Pole. In this inspiring interview, she talked about overcoming her weight problems and her experience in the Boston Marathon Bombings of 2013. 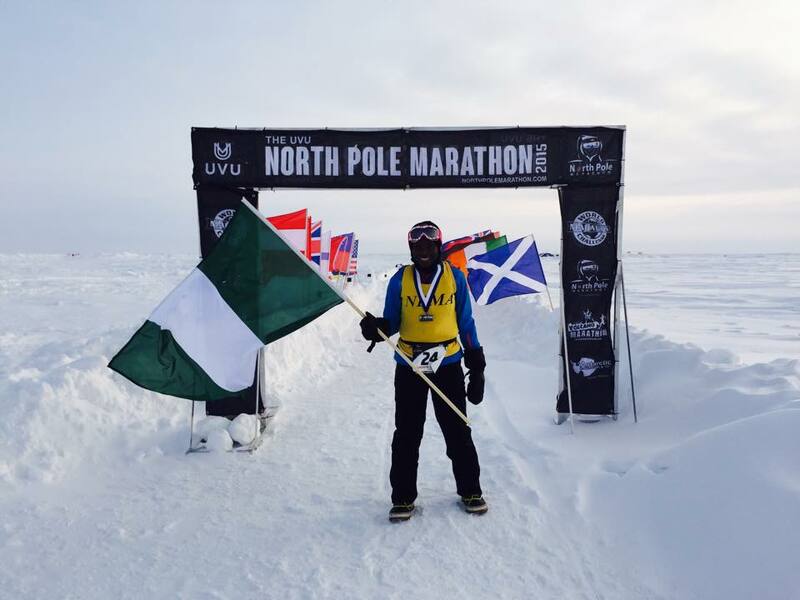 You just became the first Nigerian to run the North PoleMarathon. What was it like running there and planting the Nigerian flag in the ice? The North Pole marathon really lives up to its name as the world’s coolest marathon. I raced at the top of the world. I kept asking myself if I have the nerve and drive to travel to the North Pole and run on the Arctic Ice Floes, with 6 to 12 feet separating me from 12,000 feet of Arctic Ocean. I live in the Middle East and training for that race was impossible. This marathon is not run on land but on water.I become the first Nigerian to run this race. I raised my country’s flag at the finish line. No Nigerian has ever run a race on the North Pole. I want to see more Nigerians run it. I went there to prove to others that it can be done by ordinary people. Would you say it is the toughest marathon you had run in? Yes it was. I ran on King George Island in Antarctica and it was nothing like this. The North Pole drained my energy. I was mentally and physically challenged. You started running to lose weight after the birth of your fourth son. From someone who did not participate in any school sport to a professional athlete, how did this transition happen? It was a transition of can’t to can. It all started with my mind. I was big and I had a very good relationship with food. I ate everything. But you know you are ready when you try getting up and moving and find it difficult. I was ready when that time came. There was a time your mom didn’t recognize you at the train station because you had put on so much weight. How significant a moment was that in your deciding to get back to fitness? That broke my heart. She’d been talking a lot about my weight and I disliked those conversations but listened out of respect. That day really got me thinking about my health and lifestyle. Your first marathon was in 2012 and since then you have ran in over 30 marathons. Which one would you say is the toughest? The North Pole marathon.Definitely the most difficult marathon. But I need a new challenge. I need something that will really push my limits. I have done some really good marathons across the world. The six world marathon majors like Boston, London, New York, Tokyo, and Chicago. Antarctica twice, the North Pole. The list goes on. Every races gives me something back. Dubai was my first. I will always remember that experience. You’ve said running is “spiritual” for you. How so? Yes it is. This is a big part of my life. It’s my connection with God. When I run my mind is clear, I feel forgiveness, I feel love, and all my pain disappears. It’s such an exciting feeling. I run with a bad leg but when am deep in my zone I don’t feel the pain. I find myself meditating for others. My fears and challenges disappear. It has to be God. Despite the bad leg and the challenges, you keep pushing for more. Do you have a target for the number of marathons you want to run in? Yes I want to run in 100 marathons. But I also want to move to triathlons. When exactly did you start running and how long do you think you can keep running like this considering that you are already 42? I actually started running in 2011. I pray to God every day to give me some good years of running. I still have so much to see and places to run. Not sure how long but I pray till I am really old. For one keen on fitness, how do you do it?What is you regimen like? It’s a combination of exercise and food. Food plays a big role. I formed a weight loss group with another friend .It started in March 2011 and it was just a few friends coming together to lose weight for a party. It has become a movement now. A movement of peace and freedom. People have started believing more in what they are capable of doing. We really have no limits. For all those people who want to lose weight but are not sure about how to start, what can you tell them? Start where you are with what you have. Start now. Don’t wait until you have to. Don’t wait till your health starts to deteriorate. Your health is your real wealth. I seriously think that running has given me a glimpse of the greatest freedom a man can ever know because it results in the simultaneous liberation of both body and mind. The potential for greatness lives within each of us. If you tell your story enough,even you will eventually begin to believe it. I remember when I told someone I wanted to run a marathon someday and to be honest I just finished running 5km on the road. Not the treadmill, on the road. That was big for me. The first question the person asked me was do you know what a marathon is? He said I have been running for x years and never considered running a marathon. I said to him someday I will run Boston too. He fell down laughing. Running is my freedom especially in recent times and in the world we now live in. And you did run the Boston Marathon. You were there when a bomb went off. What was your experience of that incidence? I was a few meters from the finish line. God knows if I had ran any faster that day maybe it would be a different story. As we were approaching the finish line we heard this loud noise. Thankfully runners didn’t get hurt. But those in front started running back towards us. I was so afraid. I remember it being so cold. It was a very sad day. 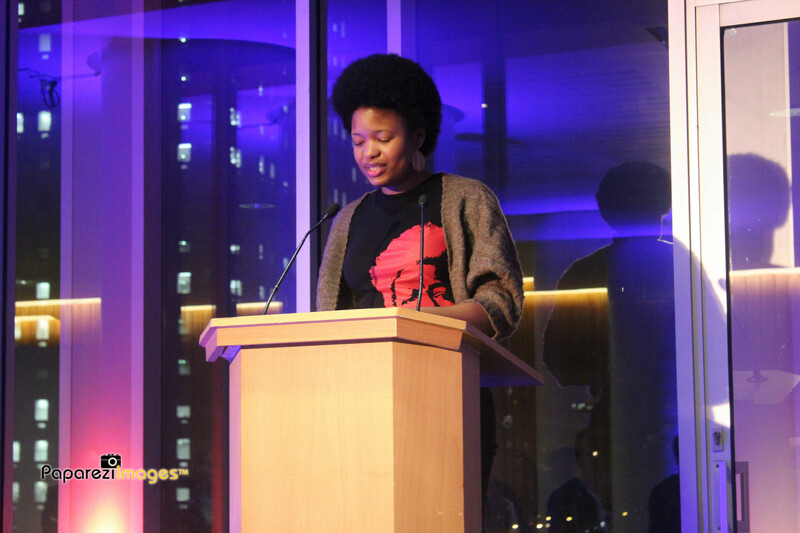 Chibundu Onuzo is the youngest author to be published by Faber and Faber. Her debut novel, The Spider King’s Daughter is a love story between two teenagers, one the daughter of a rich man, the other an enigmatic hawker. But at the heart of the story lurks a dark secret. Your first book, The Spider King’s Daughter, which you wrote while still a teenager focused on the relationship between two teenagers from very diverse backgrounds. And your next novel, as excerpted in the Africa39 Anthology revolves around soldiers, wars and killings. 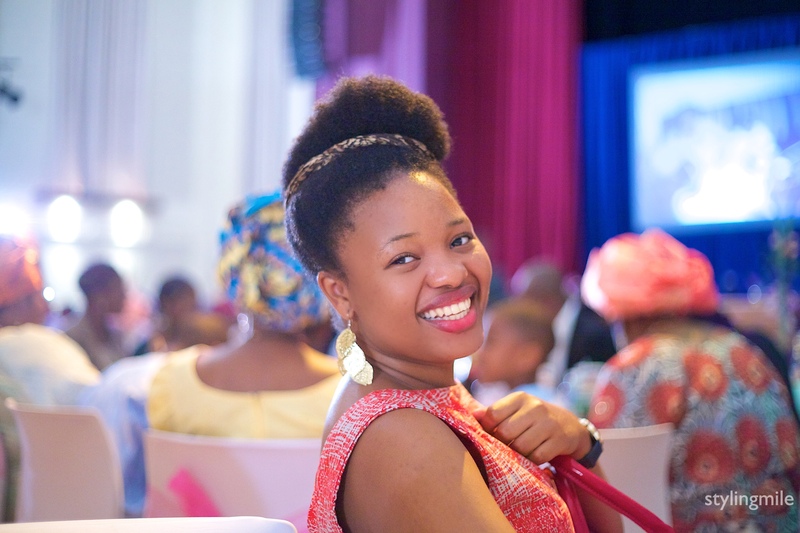 How far has Chibundu Onuzo come from that girl who wrote that first book? I don’t know. I don’t think of myself in the third person very often. I think Chibundu Onuzo has grown taller. Not by very much, because she was seventeen when she began The Spider King’s Daughter and already at the end of her growth spurt. But judging from old photos, I would say she has grown by about half an inch. Ok. Let me put it this way. 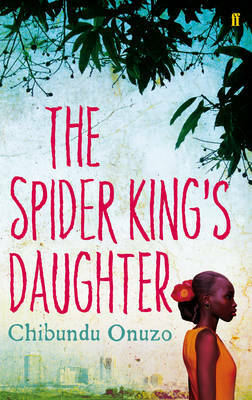 How far has Chibundu grown as a writer, from that person who wrote the Spider King’s Daughter? Sadly in this case, clarifying your question won’t really help. I can’t tell you how much I’ve grown. It’s like when you’re a child and someone says to you after they haven’t seen you in two years, ‘You’ve grown.’ You don’t feel like you’ve grown but then, slowly, incrementally, night after night, your cells have divided and you have. So it’s for outsiders to assess growth and those on the inside, to keep eating their beans and other growth inducing proteins. 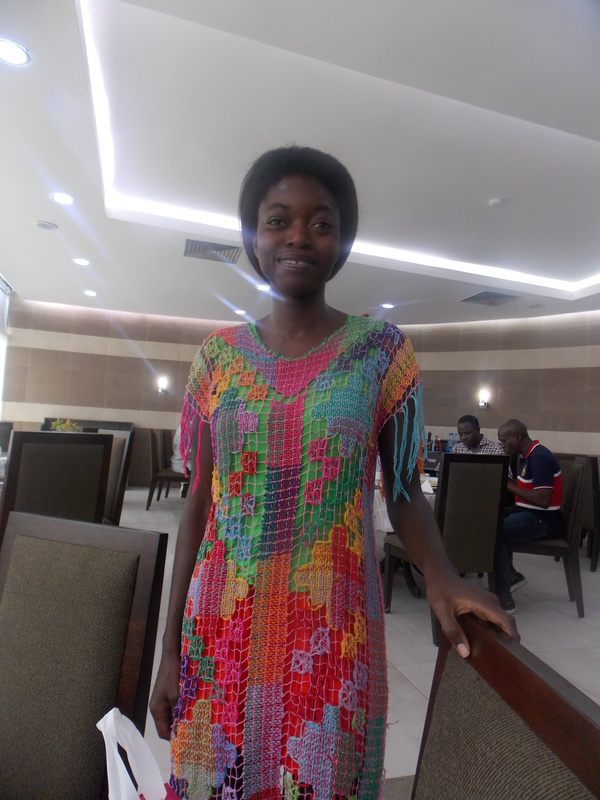 So Abubakar, when my next novel comes out, you can tell me how far I’ve grown…if I have. I look forward to that. Clearly you are a fan of Nollywood, and I think you aspire to someday feature in a Nollywood film, so is it deliberate that SKD had Nolllywoodish qualities? I think this is where we declare that we are friends because I have never made my aspiration to feature in a Nollywood film public. So the only way the interviewer knows this, is because I have told him personally. And yes, I’ve wanted to act in a Nollywood movie for a long time (shoutout to any director that wants to make my dream come true). Having said that, what are Nollywoodish qualities? The way I end some chapters on a cliffhanger and switch to another scene is a technique I borrowed from Nollywood. Also, people keep asking for a part two, so perhaps it’s more Nollywood than I realise. So will there be a part two then? No. Not in the near future. Some writers write sequels later on in their careers. So perhaps, in the distant future, I might feel like returning to the lives of Abike and the hawker. But for now anyway, this is not likely. Too many new stories to tell. Being Faber and Faber’s youngest ever author must be quite a feat. You signed a two-book contract. You are a very confident person, but what kind of pressure did this put on you, especially in regards to writing this second novel? Well I’m their youngest female author, which is kind of a made up prize because before me, they hadn’t been religiously checking the ages of their female authors. So I don’t think anybody actually knows who is the second youngest female author signed by Faber. 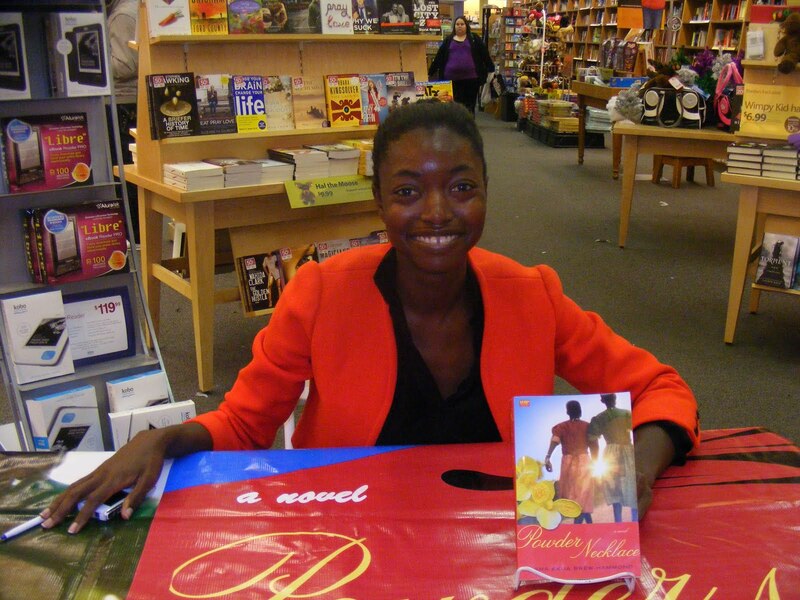 I was 19 when I signed, which was great because it meant there was a lot of publicity around the signing but after the book came out, I realized that writing is not like tennis or athletics or football where you have junior and senior division. You’re not reviewed as the youngest this or that. If a reader doesn’t like the book, they don’t care that you were eighteen when you wrote it. And also, you don’t want people to say, “This is good….for a 19 year old.” So you have to focus on craft and not get carried away by being the youngest this or that. As to pressure for my second novel, I want it to do well and do better than my first as every writer wants their next novel to be better than their last. I don’t think this has anything to do with age. Since the publication of SKD you have been prominent in activism, participating in protests over the Chibok Abductions among many others and your story in Africa39 hints at taking on the human rights abuses by the Nigerian military. What burden does writing place on the people who write to make a stand on these issues? I don’t know. For me, the actual act of fictional writing, is just so sedate and dull that to talk about burdens, just makes it sound so heroic and melodramatic. I write out of anger sometimes. I put these things on my blog or in my comment pieces for the Guardian. But when you actually sit down to create this fictional place, with characters and back-stories, and plot, you’re not really thinking of burdens. You are also a talented singer and have launched a campaign alongside your sister, Dinachi, using a song to ask Nigerians to choose wisely. How did that idea come about? It was all Dinachi’s idea. She wrote the lyrics (apart from one line. I’m sure you can guess which line is mine), wrote the music, arranged the studio session. I just rocked up on the day and sang. I have an idea and I think that verse has something to do with eating and what follows. But on a serious note, how much traction do you think that campaign got? 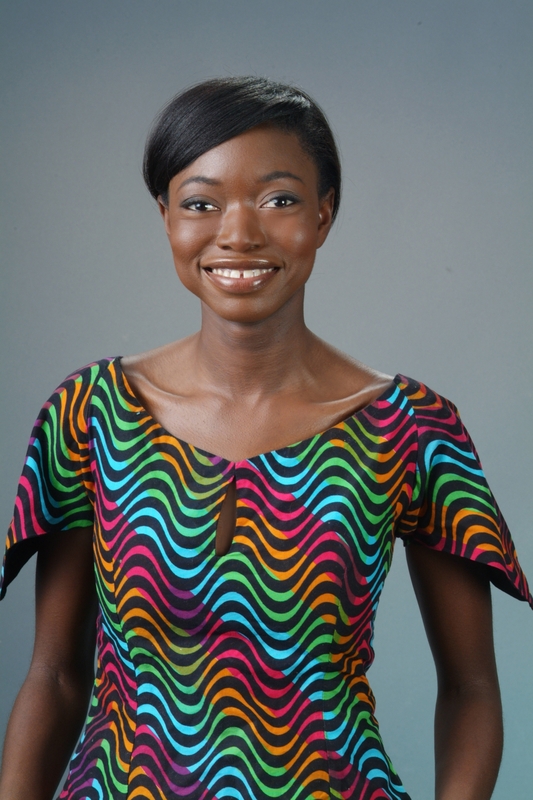 It got carried on quite a few websites, SaharaReporters, bellanaija and so on. So we were very happy with that. We’re just two people adding our voices to a wider focus on good governance. That sounds to me like someone using her talent to impact on society. And you wanted to be a concert pianist when you were younger. Is this something you still think of doing at some point? I still play the piano. I play in my church, which I love doing. I do want to do more with my music so we’ll see. The future of African literature is said to be bright, and considering you are one of the 39 writers selected by the Hay Festival as those who will define writing trends on the continent, what are your thoughts on this? Where do you see African writing going to? I don’t want to define African Literature. I’m not a dictionary. And African writing can go where it wants to go. I’m not the driver of the train. Nor am I the conductor of the bus. Those that have given themselves that work, good luck o. We have had publications by writers like Ben Okri saying African writers are bound by some restrictions in publishing in the West, and another by Adaobi Nwaubani suggesting that Western institutions determine which African writers to place on a pedestal or which African stories to promote. As someone published in the West, what do you make of this? Where is the West? So if you live in Nigeria, the West of you is actually Brazil. I’m sadly not published in Brazil yet so I can’t comment about being published in the West. If you’re taking England as my starting point, then West of England is Canada. Again, I’m not published in Canada so both from my place of birth and my place of abode, I have no experience of being published in the West. Ok. Let me break it down. By the “West” I refer to, as most people in the literary circle do, publishers in the UK and the US. But how important do you think it is to develop publishing structures in Africa? Eheeen. Writers have to be precise in our language. Now I think it’s very important for there to be better publishing structures in Africa. But at the same time, I think we also have to be innovative. So because American and British publishing is still largely a paper affair, doesn’t mean that this has to be our trajectory. I’ve seen some very interesting apps for reading, Okada Books, World Reader etc and they are connecting with readers who have smart phones and want to use them as books. So the distribution network for books needs to be strengthened but not only along the lines of traditional publishing. I would also add, there really is a need for more pan African, cross continent publishing. I only read French West African authors when they’ve been translated into English abroad. And they are literally next-door to Nigeria. So more collaboration would be great. In this internet age, people don’t have to meet for translations to happen. So hopefully, we’ll be seeing more of those partnerships in future. 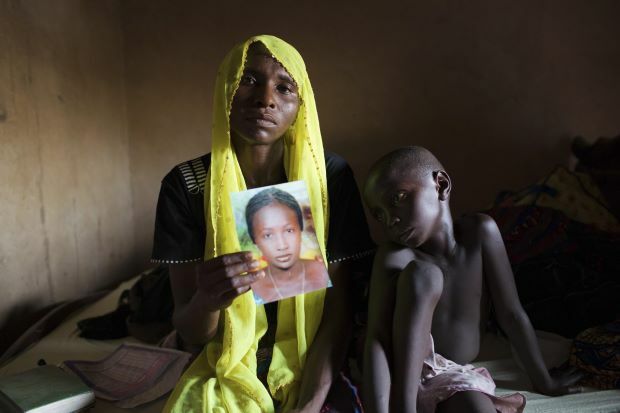 I am a distraught father, a slaughtered son, a stolen girl. Bring me to mama’s embrace.